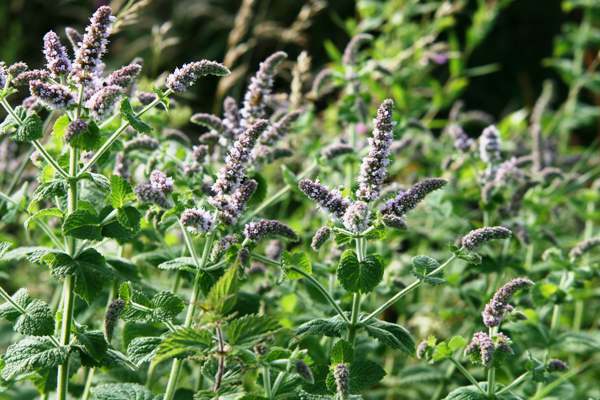 Spear Mint is the most commonly grown of the garden mint species, and if not controlled, quickly spreads and dominates the herb patch. It is equally successful when growing in the wild and can form large colonies in the right habitat. Spear Mint has (unsurprisingly in view of its common name) a spear shaped terminal inflorescence (at the top of the stem), while the otherwise similar Corn Mint Mentha arvensis does not have a flower head at the terminal. This perennial plant spreads via rhizomes. 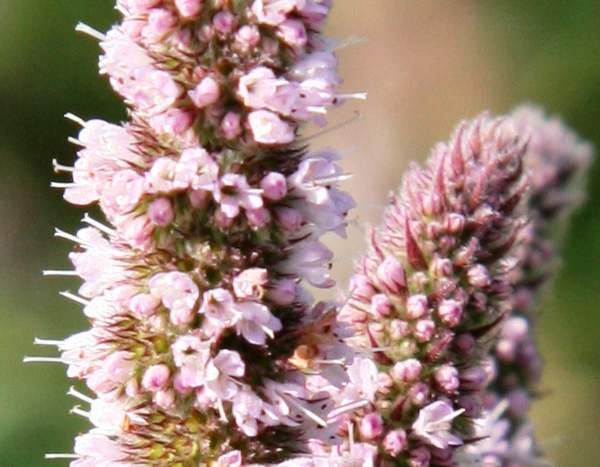 It toothed leaves are in opposing pairs along the stems, and the tiny tubular pink to mauve flowers form in spikes comprising many closely stacked whorls. 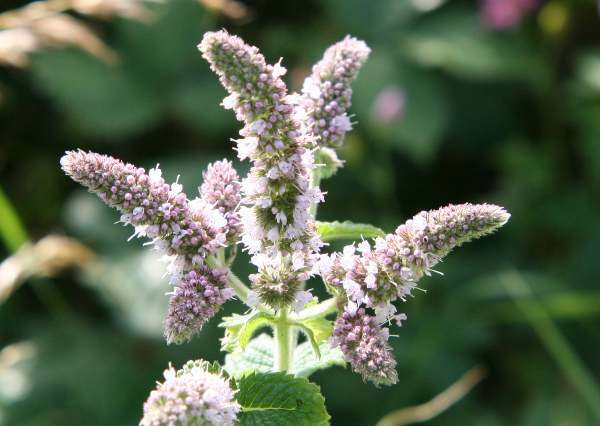 This plant is a naturalised garden escape and is now widespread throughout the UK and Ireland except in the far north. Spear Mint favours damp meadows and roadside ditches. Water Mint Mentha aquatica has inflorescences in bunched whorls separated by leaf pairs and it has a rounded terminal flower head. The specimens shown on this page were photographed at Newborough Warren National Nature Reserve in Anglesey, North Wales in September.